Section 1 — Name: The name of the organization shall be The Institute for Signifying Scriptures. It is a not for profit, charitable organization formed under Section 501(c)3 of the U.S. Internal Revenue Code. Section 1 — Eligibility for membership: Voting membership shall be open to any interested person. Membership is granted after completion and receipt of a member contact information and annual dues. Continued membership is contingent upon being up-to-date on membership dues. The ISS does not wish to exclude members for whom dues cause undue hardship. Dues may be waived or reduced upon application to the Director. Section 3 — Rights of members: Each member shall be eligible to appoint one voting representative to cast the member’s vote in Institute elections. Section 4 — Resignation: Any member may resign by filing a written resignation with the secretary. Resignation shall not relieve a member of unpaid dues, or other charges previously accrued. Section 5 — Termination: The membership of any member who does not show appropriate engagement with the goals and collegial foundations of the Institute may be terminated on recommendation of the Director and a majority vote of the Advisory Board. Section 6 — Non-voting membership: The Advisory Board shall have the authority to establish and define non-voting categories of membership. Section 1 — Regular meetings: Regular meetings of the members shall be held annually, at a time and place designated by the Director. Section 2 — Annual meetings logistics: The specific date, time and location of the annual meeting will be designated by the Director, in consultation with the Steering Committee. Each annual meeting will extend two days and will include a reception and business meeting. Section 3 — Annual meeting focus: Each annual meeting will focus on the Signifying (On) Scriptures Seminar with one topic per ISS annual meeting. Section 4 — Notice of meetings: Notice of the annual meeting shall be given to each member, by email, not less than six months prior to the meeting. Notice of Steering Committee meetings will be given 60 days in advance. Notice of Standing Committee meetings will be given will be given 10 days in advance, or whatever lead time is required to fulfill the goals of the meeting. Section 5— Special meetings: Special meetings may be called by the Director or a simple majority of the Steering Committee. Section 6 — Quorum: The members present at any properly announced meeting shall constitute a quorum. Section 7 — Voting: All issues to be voted on shall be decided by a simple majority of those present at the meeting in which the vote takes place. Section 1 — The Advisory Board consists of an opened number of congenial fellow-travelers and supporters who are willing to contribute time and ideas to the Institute and further its goals. Section 2 — The Steering Committee is a subcommittee of the Advisory Board responsible for overall policy and direction of the Institute, and delegates responsibility of day-to-day operations to the staff and committees. The Steering Committee shall have between 12 and 16 members who receive no compensation other than reasonable expenses. Section 3 — Terms: All Steering Committee members shall serve one three-year term, but are eligible for renewal or re-election for up to five consecutive terms. Section 4 — The Steering Committee will meet a minimum of twice annually by Internet conference, by phone, or face to face. Section 5— Meetings and notice: An official Steering Committee meeting requires that each committee member have emailed notice at least 60 days in advance. Section 6 — Steering Committee selection. The Director has appointed founding members of the Steering Committee for three-year terms. Election procedures will be investigated and finalized prior to the Third Annual meeting. Section 7 — Quorum: A quorum of the Steering Committee for the purpose of conducting business consists of at least one-third of the members currently holding office. The Director/Chair shall convene regularly scheduled Steering Committee meetings, shall preside or arrange for other members of the Steering Committee to preside at each meeting. The secretary shall be responsible for keeping records of Steering Committee actions, including overseeing the taking of minutes at all Steering Committee meetings, sending out meeting announcements, distributing copies of minutes and the agenda to each committee member, and assuring that corporate records are maintained. The Treasurer shall make a report at each Steering Committee meeting. The Treasurer shall chair the finance committee, assist in the preparation of the budget, help develop fundraising plans, and make financial information available to board members and the public. Section 9 — Resignation, termination, and absences: Resignation from the Steering Committee must be in writing and received by the Secretary. Members shall be terminated from the Steering Committee due to excess absences, failure to fulfill responsibilities to which she or he has committed, and/or behavior that the Director and a majority of Steering Committee members deem unacceptable to the collegial furtherance of the Institute’s mission. Section 10 — Special meetings: Special meetings of the Steering Committee shall be called upon the request of the Chair, or one-third of the committee. Notices of special meetings shall be sent out by the Director to each board member at least two weeks in advance. The Website Committee will keep the ISS site up to date and make any alterations necessary to maintain its effectiveness in reaching potential new members and providing information to current members. The Seminar Committee will plan and oversee the annual Signifying (On) Scriptures seminar for each annual meeting. 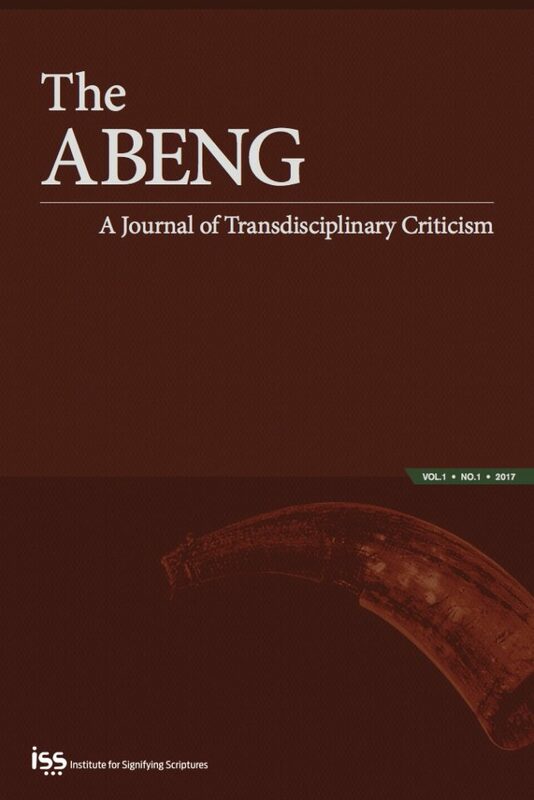 The Journal Committee will obtain, edit, and disseminate the e-journal The ABENG: A Journal of Transdisciplinary Criticism. Section 2 — Standing Committees will meet as needed, in consultation with the Director, to achieve their goals. Section 3 — Committee formation: The Steering Committee may create committees as needed. The director/chair appoints all committee chairs. Section 4 — Executive Committee: The two officers serve as the members of the Executive Committee. They and staff /volunteers—who are also members of the Steering Committee, and report to them—shall have all the powers and authority of the Steering Committee in the intervals between meetings of the Steering Committee, and are subject to the direction set by the Director and Steering Committee, Advisory Board and control of the full Board, except for the power to amend the Articles of Incorporation. Section 1 —The Director has day-to-day responsibilities for the organization, including carrying out the organization’s goals and policies. The director will attend all board meetings, report on the progress of the organization, answer questions of the members, and oversee all scheduling and committee functions. Should the Director become unable to serve or fail to carry out his duties, by a 2/3 majority vote the Steering Committee will appoint an Acting Director and conduct a search for a new director. Section 1 — Amendments: These bylaws may be amended when necessary by two-thirds majority of the Steering Committee. Proposed amendments must be submitted to the Secretary to be sent out with regular announcements. These bylaws were approved at a meeting of the Steering Committee by a two-thirds majority vote on Friday, October 30, 2015.